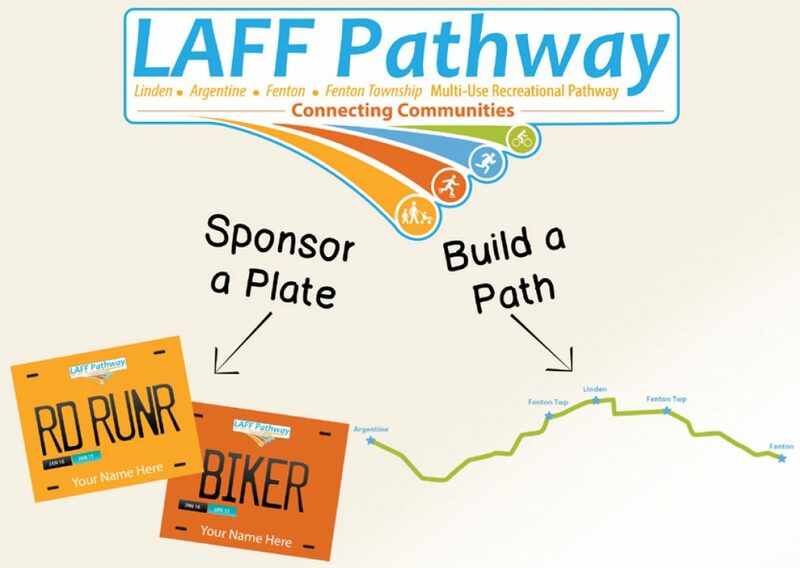 Be part of the LAFF Pathway project which is building a Multi-Use Recreational Pathway connecting Argentine to Fenton. For a $100 sponsorship, you can sponsor a 4″ x 5″ bike plate and put your family name or business logo on it to become part of this exciting project! You will have the opportunity to renew your plate each year. These metal plates will be displayed at all our events throughout the year and will be also listed on our website. Visit our website for details.